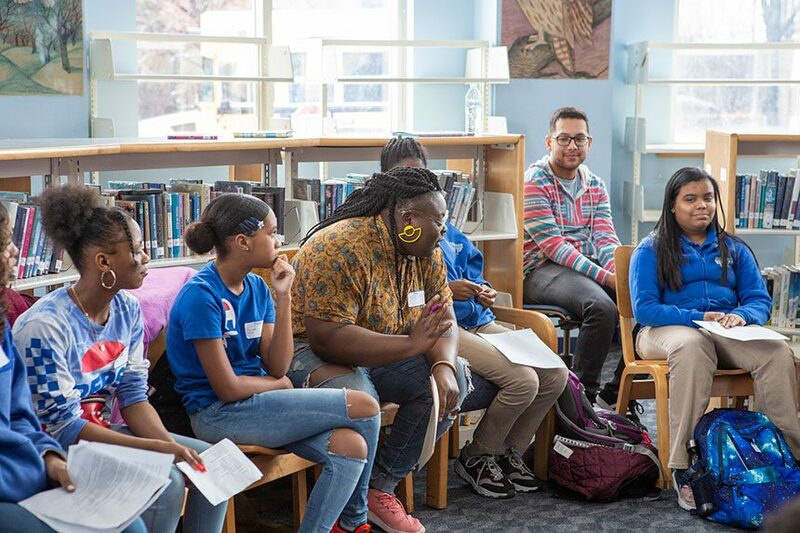 On March 22nd, Tenacity student poets from all of our Middle School Academy sites had a special opportunity to participate in a Poetry Master Class led by Boston’s Poet Laureate, Porsha Olayiwola. Ms. Olayiwola kicked off the workshop by sharing one of her poems – then students presented their original works and engaged with Ms. Olayiwola and their peers to discuss their poems and receive positive feedback and coaching. Ms. Olayiwola’s passion for and talent delivering spoken word poetry was very inspiring for the students and the masterful way she facilitated the feedback and coaching left them feeling accomplished and eager to continue improving their writing and delivery skills. Ms. Olayiwola is the 2014 World Poetry Slam Champion, 2015 National Poetry Slam Champion, and one of GK100’s 2018 Most Influential People of Color. Her full-length collection of poetry is being published in early 2019 with Button Poetry.